“God seemed to pick the disciples up, carry them through, and set them down on the other side of the storm.” This was the basic message Pastor Dan Preston preached from John 6:16-21 on Thursday morning, April 1, 2010. As I sat there in the chapel service that morning, God seemed to use the message to tell me clearly that my wife and I were about to embark on a difficult journey with our son, Philip, but that through it all He would be with us and bring us safely through to the other side. Seven years later, we are still in the storm, but safely being carried by our God. We are confident He will continue to carry us through and someday will set us down on the other side of this storm. I am writing this article while we are still in the midst of this journey. We don’t know what the “other side” looks like yet, but God had taught us numerous lessons as he has carried us along, and we are confident He will bring us safely through. My prayer would be that God would use this article and my wife’s accompanying testimony to be an encouragement to those going through some difficult times, be a help to those of you who minister to hurting families, but, most of all, show how good and faithful God has been to my wife and me in the midst of the fire. 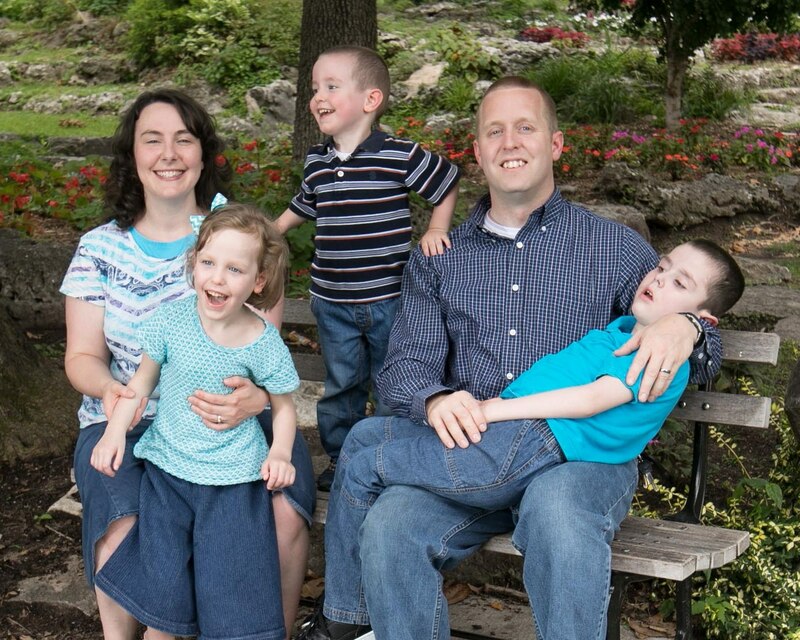 My wife gives more details in her testimony, but the short story is that our 7 year old son, Philip, and our 4 year old daughter, Joyanna, both have a life-limiting genetic disease. The life expectancy is 8-12 years old with no treatment (as of the writing of this article, there is a potential treatment on the horizon that may help Joyanna, pending FDA approval). As a result of this disease, they both face hundreds of seizures on a daily basis, Philip is completely blind and Joyanna is losing eyesight. Philip is basically unable to communicate and, though Joyanna is still able to communicate, her speech and movement have significantly decreased. The day after we received the genetic disease diagnosis for Philip and Joyanna, Becca and I got away for a while and went and sat on top of a mountain here in Oklahoma. (Yes, there are mountains in Oklahoma!) As we looked down at the lakes, the trees, the wind farms, and any other scenery we could find out to the horizon, we cried and talked for a good while, but, as we sat there, we realized how small we were compared to the vast expanse of nature spreading out before us. God seemed to translate that truth to our situation. In comparison to God’s master plan, we are a small part, but He is a big God and able to give grace through anything He allows into our lives. As we drove down the mountain that day, our circumstances had not changed, but we had once again been assured that God would carry us through. My wife had opportunity to relay our story in testimony form at a ladies retreat in 2016. You can listen to her testimony here. I am confident that it will be a blessing and a help to you either now, or in the future, as you go through difficult times or minister to those going through some trials. What does life look like on a day-to-day basis for us? How can we survive each day? How can we as parents face the thought of burying two of our children before their 12th birthday? These are all questions that there is not space enough to expound on in this article, and sometimes we don’t even know how to answer them ourselves, but we do know that God has given us grace (help) for today and we are confident that He will continue to do so in the days ahead. To keep up with the Logue Family story, you can visit thelogues.weebly.com. No one said Life is Fair!